Down's syndrome. 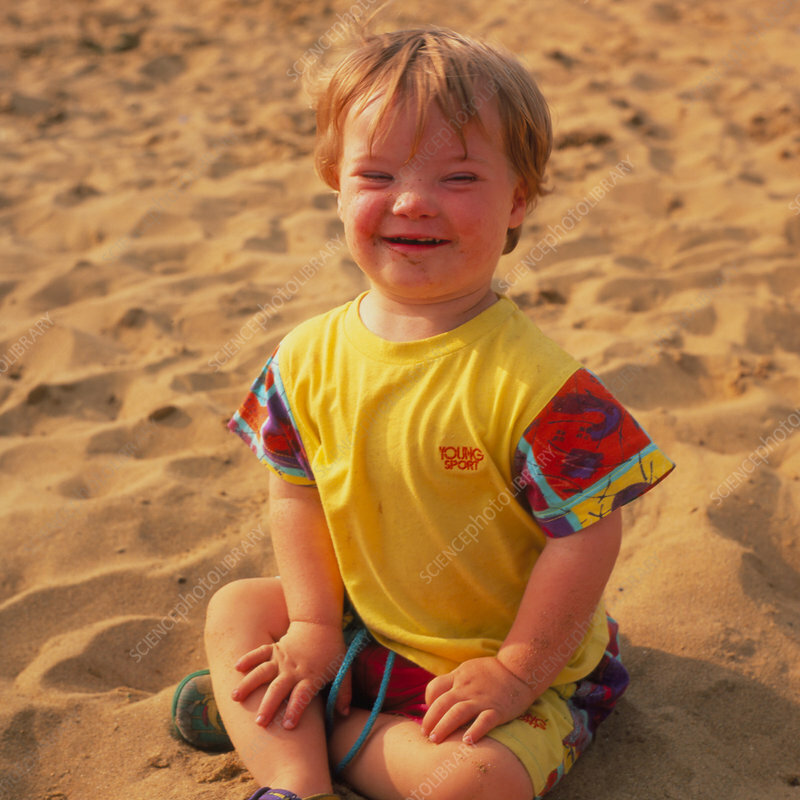 A child affected by Down's syndrome, also known as trisomy 21, seen relaxed on a sandy beach. Down's syndrome results from a chromosomal abnormality which was discovered in 1959. People with this syndrome have 47 chromosomes in their cells rather than the usual 46. The extra chromosome is number 21 of which there are three instead of the usual two. About one in 650 babies shows this abnormality and there is evidence which suggests that this rate increases with increased maternal age.